The World Trade Center Mall reopened Tuesday last week after more than a decade since its destruction during the 9/11 attacks. 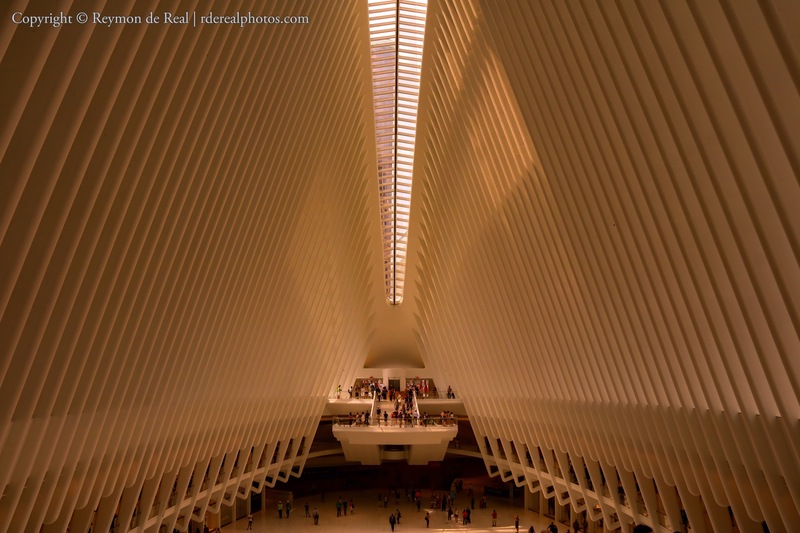 The mall is a part of the entire World Trade Center complex featuring an architectural masterpiece of a roof, which looks like the wings of a bird in flight. I visited the mall last Friday and the interiors were quite impressive although I think it looked too sterile for a shopping complex. The mall also serves as the transportation hub of downtown Manhattan connecting pedestrians to various train stations. The whole complex is still in construction mode, however, a good number of retail stores are now open to the public. The best feature of the complex is the glass spine of the roof, which provides visitors a view of the Freedom Tower just a few feet away from the mall. Hey Kerbey! Sorry my photo made you feel that way. I must tell you that the whole place was very bright and spacious with a pleasant atmosphere despite the history of the place. The way I captured the place made it look very cramped and claustrophobic…I noticed that now after your comment. I don’t know, Reymon. That gives me the willies. It would make me feel trapped, and trapped regarding 9/11 is not cool. At its best, I could see how it looks like the interior of a church organ. But still, a church organ gives it a funeral feel. Who stamped approval on this design?